Although summer might be far from your mind during the holiday season, at Hawaiian Falls we are already beginning to plan how to make the 2018 season even better than the last. If you’re getting stumped while looking for the perfect gift for the kids in your family, a Hawaiian Season Pass makes a perfect present that can be used again and again for never ending fun! With four locations throughout the Dallas-Fort Worth area and one in Waco, there is plenty of summer fun for everyone to experience. 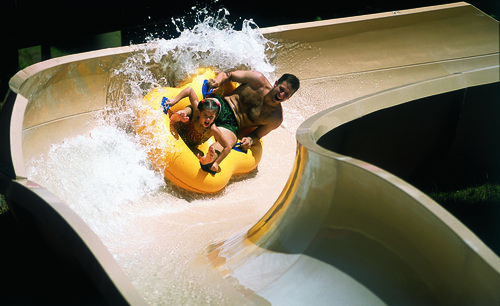 A season pass gets you access to all five waterparks for the entire summer. Hawaiian Falls was built with the family in mind. Hang out in the lazy river or ride the most thrilling rides in the park – the possibilities are endless. Season passes also come with perks like early park entry so you can find the perfect spot for soaking up the sun all day long. In addition to early entry, season pass holders get a coupon sheet, 20% off all food purchases, exclusive park hours and more. A visit to Hawaiian Falls is perfect when the only way to escape the hot Texas sun is by spending the day in the water. It’s never too early to start planning for summer. Pair the season pass with a new swimsuit and a towel for the perfect Christmas morning surprise. The whole family will be counting down the days until summer begins. With five unique locations there’s so much to explore. Stay at your local park or visit all five locations – with a season pass the decision is yours. Be on the lookout for season pass deals this holiday season to save on unlimited fun during the summer. To see all of the perks of being a season pass holder click here.